Carpal Tunnel Syndrome: What Causes It and How Can It Be Treated? Carpal tunnel syndrome is a painful condition that affects the hands. It is caused when major nerves are compressed over the carpal bones via a passage at the front of the wrist and alongside the flexor tendons. It may also be caused by repetitive movements over a certain period of time or by retention of fluids. Burning, numbness and tingling sensation are the most common characteristics of carpal tunnel syndrome. Other symptoms of this condition are dull ache in the arm or hand, thumb weakness and pins and needles. The tingling sensation worsens gradually and is most bothersome at night, sometimes leading to pain in the fingers and hands. Causes of carpal tunnel syndrome — This condition comes about when one of the several nerves that control movement and sensation in the hands is compressed. The carpal tunnel is a narrow tunnel in the wrist that’s made up of tough bands of tissues and bones which work as pulley for tendons which help in bending the fingers. It’s not quite clear why these nerves become compressed, although some things are believed to enhance the risk of the development of the carpal tunnel syndrome. Among them are family history of carpal tunnel syndrome, wrist injuries, pregnancy, health conditions which include rheumatoid arthritis and diabetes and repetitive work with the hand. Treatment for carpal tunnel syndrome — The reasons for treating carpal tunnel syndrome is to allow for return to normal activities and functions while also preventing damage to the nerves and prevent muscle loss in the hands and fingers. The use of self-care remedies, medication and surgery the most common interventions that are used to treat this ailment. Although this condition may disappear in some people without treatment, some self- care remedies can also help to reduce its symptoms. In pregnant women, carpal tunnel syndrome may get better after three months of giving birth, but treatment may be necessary. However, the symptoms may continue much longer depending on the person who is affected. Pharmaceutical drugs are the most preferred and effective treatment technique for most people who suffer from carpal tunnel syndrome. Among these medications are corticosteroid injections and wrist splints which can be used for the treatment of mild to moderate conditions. Other medications that can be used to treat this condition are non- steroid inflammatory drugs, oral or injectable corticosteroids are among the most common choices for treating carpal syndrome. 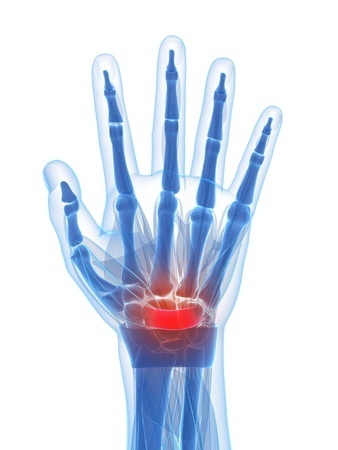 Surgical treatment is normally the last option for treating carpal tunnel syndrome. Surgical procedures are also preferred if there are signs pointing to risks of long term nerve damage. It works by relieving the mild signs of carpal tunnel syndrome immediately. However, it takes a considerable amount of time for the nerves to get healed if there was extensive damage. Depending on what you do and the hand that was operated, you should be able to return to work a few days after undergoing surgery. Carpal tunnel syndrome has become common these days and it’s caused when carpal nerves are compressed for a prolonged period of time. Although it can sometimes heal on its own, pharmaceutical products and surgical intervention can be used to treat it.